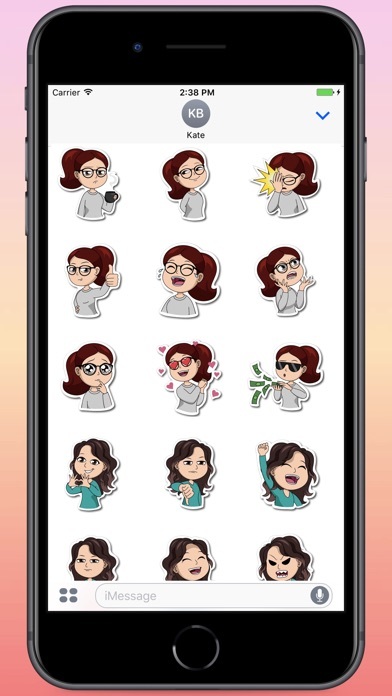 Now you can react to your friend's conversations with your favourite Cool Brunette Girls Stickers! 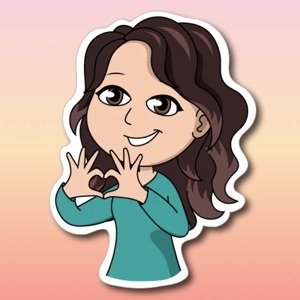 With more than 19 stickers you can find an sticker for every emotion! WHERE TO FIND THE STICKERS AFTER INSTALLING: Step 1: Open a message with a friend and tap the ">" button to the left of the text box. Step 2: Tap the app button that appears (it looks like an "A") and then tap the button that looks like four circles in the lower left of your screen to open the iMessage app drawer. 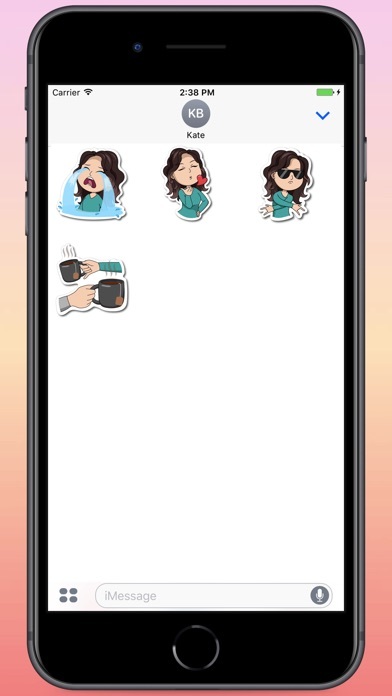 Step 3: Tap the Cool Brunette Girls Stickers icon and start sending stickers!